Tesla Model X Performance, Engine, Ride, Handling | What Car? Like all electric cars, the Model X is simple to drive. To set off, all you do is select Drive and squeeze the accelerator as you would in a traditional automatic car. What's more, there's one gear, which makes it incredibly smooth. 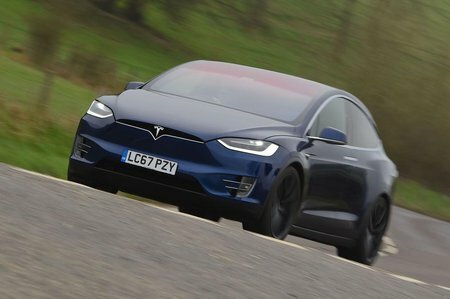 Where it differs from most electric cars is in how quickly it picks up speed. Opt for the range-topping P100D model and 0-60mph takes a scarcely believable 2.9sec. Even if you go for a regular 100D or entry-level 75D, you still get 0-60mph acceleration of less than five seconds. That’s enough to pin you and your passengers to the seats very effectively. Slowing down takes a little more getting used to; the strong regenerative braking that helps charge the battery causes the car to decelerate quickly as soon as you lift off the accelerator. You soon get used to it, though, enabling you to drive the car without using the brake pedal. Indeed, you only really need the left pedal when you’re coming to a complete stop. If you still can’t get the hang of it, you can turn the regenerative braking down. While you might expect a tall SUV to pitch and roll, the Model X’s low-mounted battery pack and standard air suspension make for cornering that is pleasingly flat and saloon-like. However, this control does come at the expense of ride comfort; you know when you’ve hit a rough surface, even if the car never crashes uncomfortably. Even on relatively smooth motorways, you still feel the Model X fidgeting underneath you, while pothole-strewn urban roads can become tiresome. Still, the giant 21in wheels fitted to every model we’ve tried won’t help. That said, those big wheels and low-profile tyres do make the steering accurate, so it’s easy to place the nose of the car. But if you’re hoping for excitement, you might need to look elsewhere. 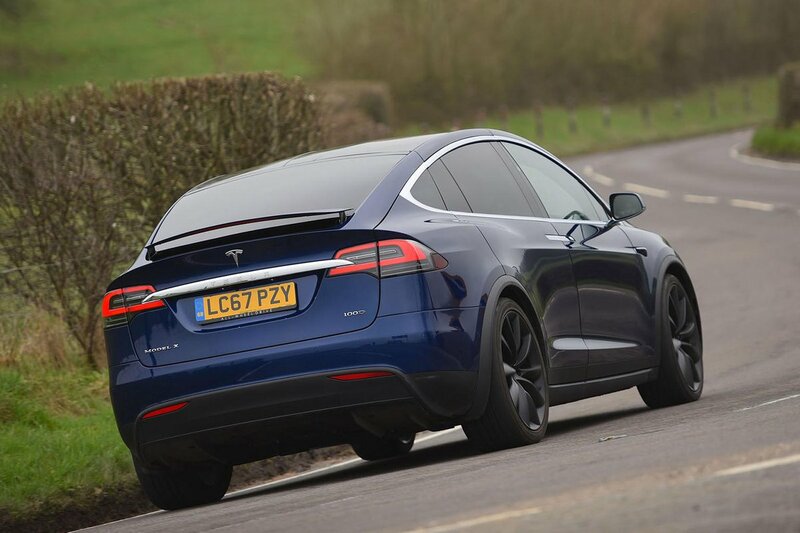 Although the Model X is certainly fast in a straight line, leans very little in bends and has tonnes of grip, there’s none of the fun you’d get in an Audi SQ7 or Porsche Cayenne. Still, refinement is very good, thanks to the smooth nature of electric power. 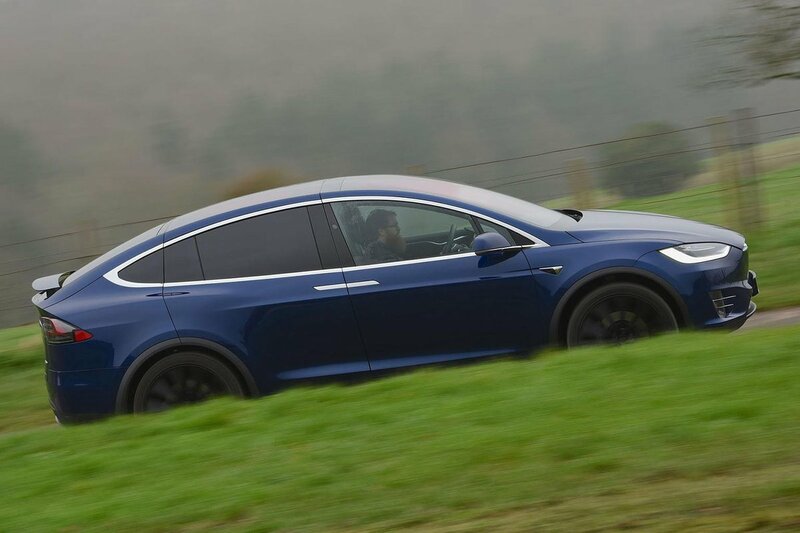 You do hear a whine as the Model X accelerates, but the sci-fi noise doesn’t irritate. There’s certainly no vibration, although you do hear wind and road noise.